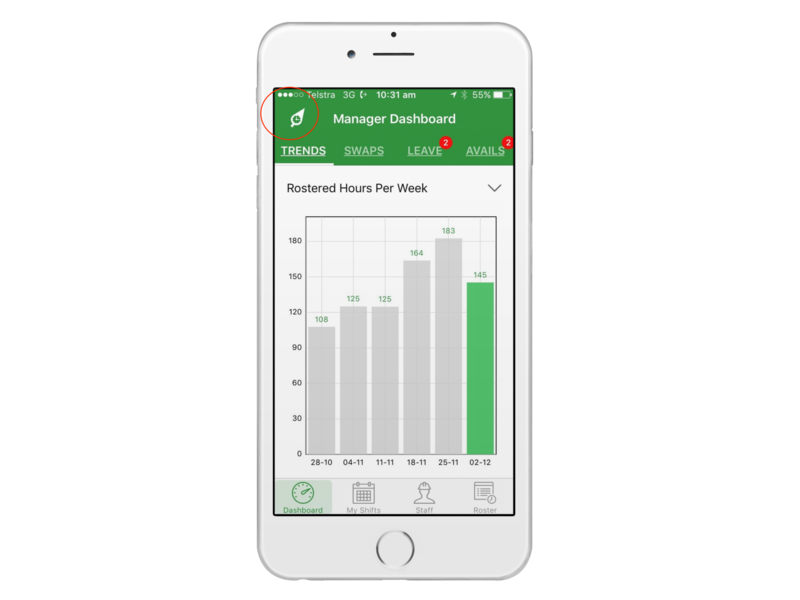 How do I switch between accounts from mobile app? 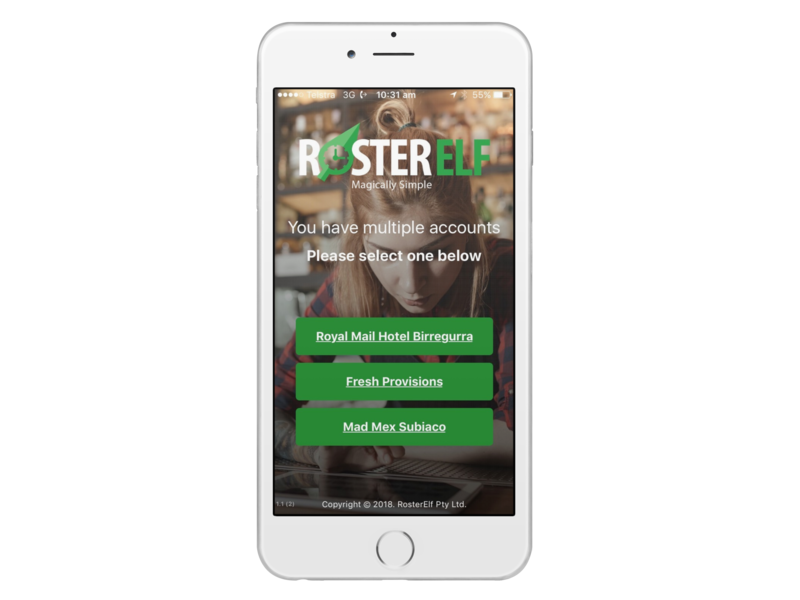 With any section of the app open, you will see our RosterElf logo on the top left of your screen. 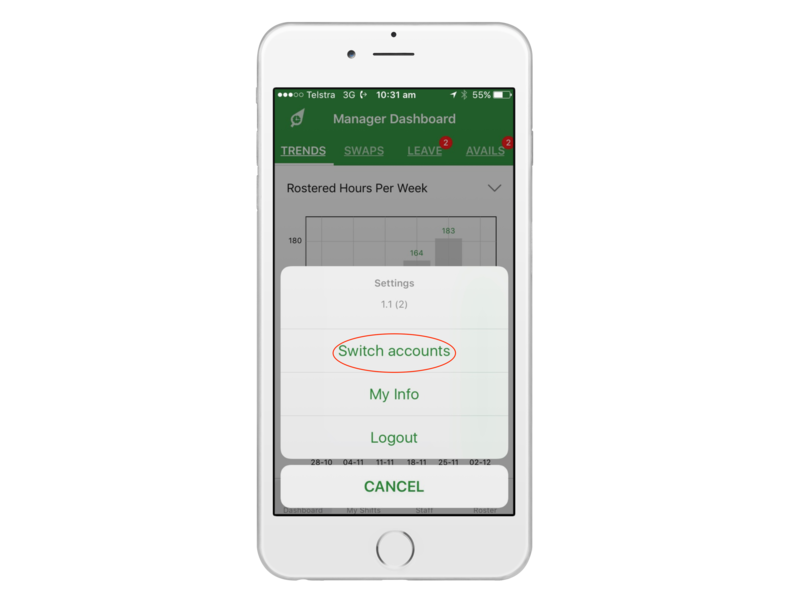 By pressing this icon it will provide you with extra options, including switching accounts. Select which account you would like to login into, and it will take you there.